The Tuscany brand guitar/bass line is produced in Italy by Galeazzo Frudua. Currently there are no USA dealers for this line. 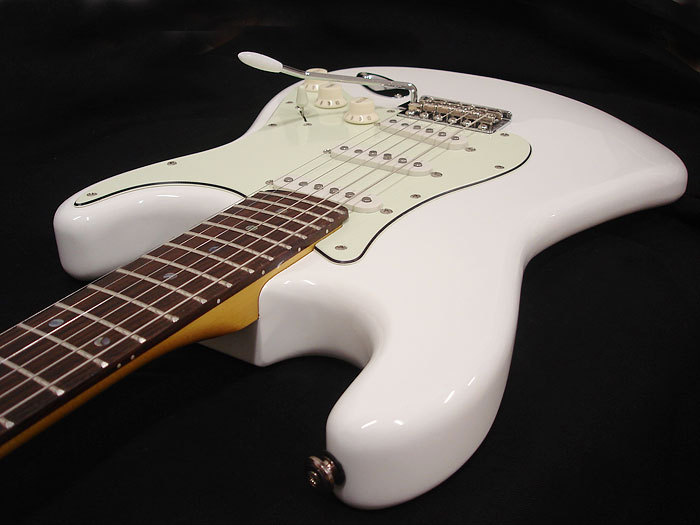 I discovered this Frudua & his stuff via his the great Strat trem set-up clips at his Youtube Channel. This guy makes nice lookin' guitars with premium wood, hdwr & electronics. Major emphasis on fit & finish! 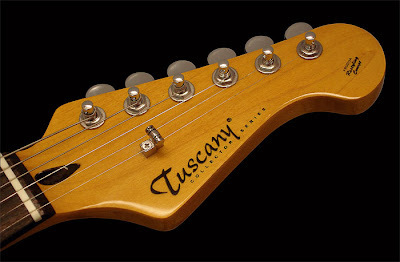 Our feature today is the Tuscany 54 model in olympic white. It's also available in "sultan" red and "Luxor" burst utilizing a flame maple top. 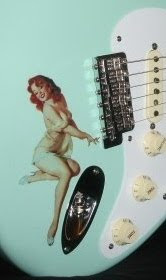 Frudua makes his pickups, and also has an amp line called Vibe aka The Valve. Click Here for details on the Tuscany 54 and other models.